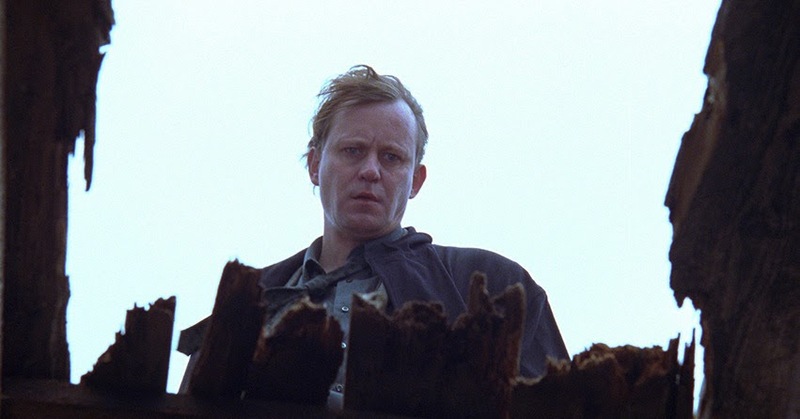 Arthouse audiences are accustomed to seeing sheaths of white in Scandinavian films, but in Erik Skjoldbjaerg's debut feature “Insomnia” (1997) there are no scenic snow-covered fjords, only waves upon waves of invasive sunlight. The film is set in the director's hometown of Tromsø, Norway, well north of the Arctic Circle where the sun blazes brightly at midnight during the late spring and summer, a natural phenomenon to which locals have adapted but which often provides a crippling impediment to visitors. 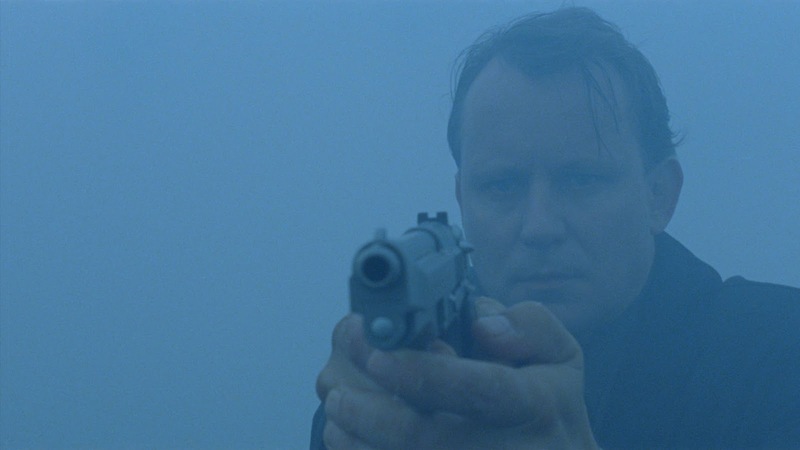 Hotshot Swedish police inspector Jonas Engstrom (Stellan Skarsgård) is certainly caught off guard by the spectacle of daytime all the time. Engstrom has been called in to investigate the murder of a 17-year-old girl. He readily assumes control of the city's constabulary who are apparently ill-equipped to deal with murder cases, but cannot control the sun. No matter how much masking tape he applies to the shades in his hotel room, the sun's rays always find a way to seep in, keeping him wide awake and increasingly disoriented and agitated. “Reasons unknown” is a key phrase. In the inevitable American remake, released in 2002 and directed by Christopher Nolan, ample backstory was added to provide plausible motivations and explanations for every occurrence in the narrative, highlighting one of the traditional differences between European arthouse and American commercial cinema. Skjoldbjaerg provides a few hints (a snippet of gossip from the Norwegian cops suggests a disgrace that led to Engstrom's exile from Sweden) but focuses almost exclusively on what instead of why, a wise decision that generates a sense of enigma in an otherwise straightforward mystery in which we learn whodunnit with surprising ease. Former film student Skjoldbjaerg indulges his cinephilia with abandon, turning veteran cinematographer Erling Thurmann-Andersen loose to sculpt moody, off-kilter compositions for no obvious reason other than that they look really cool; a brief tunnel chase doesn't look particularly convincing, but as one of the few moments of darkness amidst the oppressive brightness it's a welcome counterpoint. If the scene calls to mind the sewers of Carol Reed's “The Third Man” it also serves as a reminder that Orson Welles never let narrative plausibility stand in the way of a really groovy shot. The final act becomes increasingly incoherent, partly attributable to the sleep-deprived Engstrom's increasing detachment from reality though also perhaps to an inability to come up with a more elegant resolution to a sleek setup. It doesn't matter much, though. This is a movie about bright white light and the eerie blue that sunlight registers as on tungsten film stock. Skjoldbjaerg calls it an inversion of the film noir, a film blanc in which sunlight serves the traditional role of darkness, the encroaching brightness that threatens to overwhelm every scene and inevitably claims its doomed victims. You might call it a gimmick, but it's a good one. The film is presented in its original 1.85:1 aspect ratio. 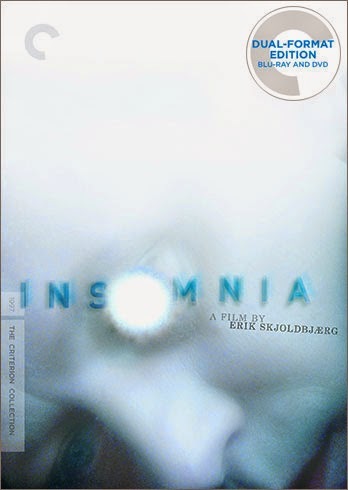 “Insomnia” was one of the earlier Criterion Collection releases (it maintains Spine Number 47) at a time when their SD transfers were usually good compared to peers but not up to more recent standards. I don't have the original SD release as a point of comparison but I am not surprised to read other reviews that suggest it looked heavily boosted; the prominence of bright white in many scenes is a challenge for any digital transfer. This high-def transfer shows no evidence of such problems with a clean, sharp image that looks naturalistic and beautifully preserves the most blown-out patches of sunlight in each scene. This is a dual-format release with a single DVD and a single Blu-ray. The SD transfer has not been reviewed here. The DTS-HD Master Audio 2.0 track is pretty straightforward, crisp but not notably dynamic. Optional English subtitles support the Norwegian and Swedish dialogue. Scandinavian speakers no doubt appreciate the film's interplay between the two languages (the locals cannot understand Engstrom's Swedish) which sound all too similar to American ears (much to the disbelief of my Norwegian friend Sylvi Jane who simply could not believe I couldn't tell the difference). The original SD release only had a Trailer and a TV spot. This 2014 release isn't loaded but at least offers a few more features. A new conversation (2014, 21 min.) between Skarsgård and Skjoldbjaerg discusses the genesis of the film (the script was developed over about five years) and the director's conception of the film as an inversion of film noir. Skjoldbjaerg was the first Norwegian student to attend The National Film and Television School in London where he graduated in 1994. The disc includes two of the rather lengthy short film he made there: “Near Winter” (1993, 34 min.) and “Close to Home” (1994, 30 min.) I have not had a chance to watch either of them. The slim insert booklet features an essay by critic Jonathan Romney. It's never a good idea to risk the wrath of the Nolanistas, but if you're debating between the two versions of “Insomnia,” I can state with confidence that the original absolutely blows away the American remake. Skjoldbjaerg's unique take on the crime/noir genre can be confusing at times and leaves an awful lot of small questions unanswered, and that's a big part of what makes it so compelling.